Large corporations with thousands of employees understand that travel and transportation expenses can mount rapidly. There are cheats to save money like using Uber and Lyft, or packing small carry-on bags instead of checking luggage, but corporations have to think bigger than that. Here are our recommendations to conserve corporate travel spend. Companies who aren’t taking advantage of travel management software platforms are turning their backs on efficiency and cost savings. Implement a pre-trip authorization solution that cuts down on the time people spend manually reviewing trip requests as well as limiting the option for out-of-policy booking scenarios. Consolidate all your traveler profile data into a web-based management system where they can maintain their own profiles. Not only do travel software solutions streamline trip booking and approval processes, they empower executives with insights into employee spending that can mitigate risk. Travel programs that do not consolidate policy and process leave room for errors and make it difficult to manage data or evaluate performance. Consider a partnership with skilled professionals at a travel management company to handle all of a company’s travel arrangements. TMCs know tricks to save their corporate clients money on travel and they can be your best ally when negotiating preferential rates on airfare and hotels. Because these pro’s have been in the industry so long, they also have invaluable insight on local laws, customs, climate, travel documentation and global travel advisories that you weren’t aware of. Reconsider whether your existing policy covers every area of travel spend and if it addresses employee satisfaction. Then, enforce it. With a formal policy and process in place, the travel department can be thrifty and efficient. When employees know the travel policy, they submit the right paperwork up the chain of command until the trip is either approved or not based on the guidelines delineated by policy. Fewer snags in the process lead employees to feel greater confidence in it, which also leads to better morale. Employees know that their travel department cares about their comfort, convenience and safety based on the clear guidelines and processes set forth in the travel policy. Planned correctly, airline rewards programs can save boatloads of cash for any company. Such programs include more than just getting the miles on flights too. For example, if you choose a certain airline to be “your airline,” then not only will you accrue miles for every flight your employees take, but you can also gain miles by issuing company credit cards that are associated with that airline to eligible employees. The Delta Reserve® American Express Card and JetBlue Plus Card are but two examples of such credit cards. Co-branded credit cards for your employees are another great option. These cards are affiliated with several companies at once, so if your “travel people” have to book a flight with someone other than “your airline,” you can still accrue miles and possibly even assign them to the account associated with “your airline.” Attaching hotel bookings and car rentals to your miles account will also help build those miles totals. It’s easy to minimize these costs without sacrificing much. Rather than pay for transportation to the airport, it’s usually less expensive for employees to drive their own cars with you reimbursing them for mileage and parking later. When it comes to providing food for travelling employees, give them the control over what they eat. That ties in with the, “Don’t micromanage,” mantra. If you pay each employee a per diem, then that person can determine what to eat throughout the day within that allowance. Certain restaurants also have loyalty or rewards cards, so that can be a good way to cut down on costs too. It’s always less expensive to buy tickets months beforehand than it is at the last minute. Being the professionals that they are, your TMC people will know this already. You can, however, give them a helpful nudge by asking them to provide you with a list of their cost-saving brainstorms. When they tell you about code-shares, off-peak windows, economy flights, redeye discounts, etc., give them approval with a smile. Using FaceTime, Skype, Facebook Messenger, or other electronic communication particularly for quick meetings and other “base-touching” activities. If the company can achieve its goals without someone getting in the plane, train, or automobile, then that is a fine way to save. Technology is not a substitute for getting in front of your clients and prospects though. Business travel is a necessity for most corporations to foster meaningful personal interactions. Face-to-face meetings contribute to networking, closing deals and signing new business. 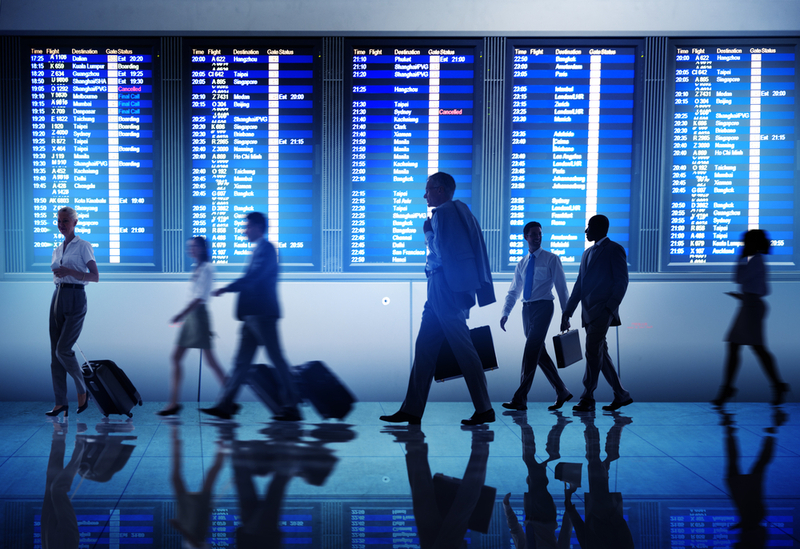 Our team at Trondent understands the painful expense of travel to corporate budgets. That’s why we’ve developed travel software solutions to trim time and save corporations money. Let us know if you are interested in the most advanced pre-trip authorization platform on the market today or our web-based profile management system, please reach out today!